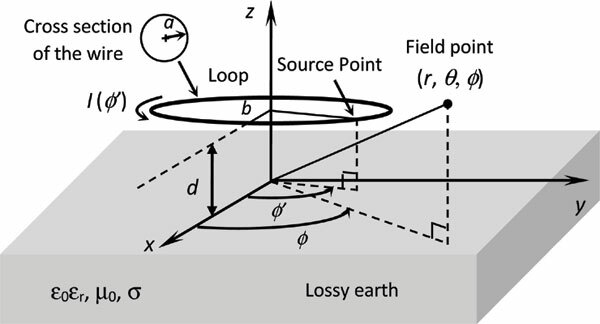 Background: This study deals with the derivation of expressions for the current distribution and the input admittance of a circular loop antenna (CLA) over a lossy Earth in a series form. Methods: The analysis is based on the image method, Fourier series expansion and the direct integration of the vector potential. Result: The results for the current distribution of the study are in very good agreement with those corresponding results available in the literature, which checks the correctness of the formulations of the study. Conclusion: The provided solution in this paper is simple, straightforward and can be applied without performing any numerical integrations, which makes it preferred compared to the numerical solutions that are available in the literature. Admittance, Bessel functions, circular loop, half-space, ground plane, lossy earth.